"Best Intentions" (1992), directed by Bille August, was about his parents' courtship. "Sunday's Children" (1994), directed by his son Daniel, was about how Bergman's clergyman father created a household where public piety was joined with private anguish. "Private Confessions" (1996), directed by his longtime actress and onetime lover Liv Ullmann, was about his mother's moral struggles. Now comes what is probably the final chapter of this moral autobiography, "Faithless," also directed by Ullmann, which tells the story of an old man who evokes an imaginary actress to help him recreate scenes from his life which puzzle and shame him. Since some of those scenes may intersect Ullmann's own experiences with him, there is a sense of risk. The movie opens Friday at the Landmark Century. With the exception of a handful of comedies, Bergman's whole career has been about big questions and elusive answers. At first he looked outside, in moral fables like "The Seventh Seal," "Wild Strawberries" and "The Virgin Spring," but then came his "Silence of God" trilogy in the 1960s ("Through a Glass Darkly," "Winter Light," "The Silence") and, in 1966, the great "Persona," in which an artist (Ullmann) simply stopped speaking altogether. Ever since he has been on an inward journey. "Faithless," which premiered at Cannes in May 2000, stars Erland Josephson as an elderly director named...Bergman. We remember Josephson as the star of Bergman's "Scenes from a Marriage" (1974), about a crisis of marriage and adultery seen in mid-stream. Now the actor plays a man looking back and trying to make sense of his moral untidiness. Through art and imagination, he evokes the ghost of a woman named Marianne (Lena Endre) who he once loved. He asks her to help him recreate their past, and as she does, flashbacks that show her cheating on her husband with a character named David, who is "Bergman" as a young man. Wheels within wheels. The old man wants to see her adultery through her own eyes. Did he lead her into sin? Did he lie to her? Did he lie to himself? 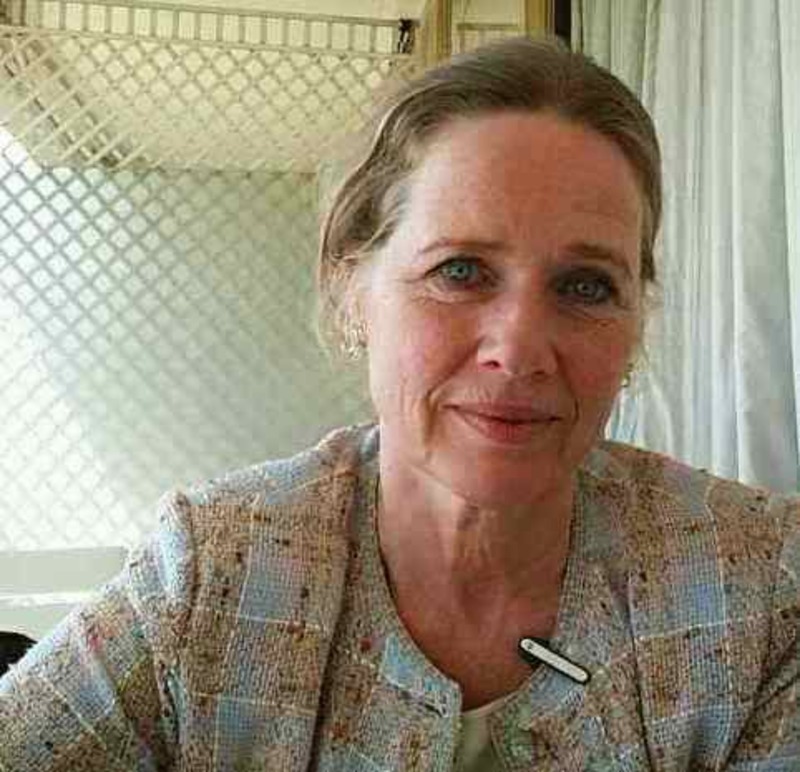 One afternoon I sat with Liv Ullmann on a balcony overlooking the sea at Cannes, and talked about the movie. I had met her before in other incarnations. She was a Hollywood star in the 1970s ("Lost Horizon," "40 Carats," Oscar nominations for "The Emigrants" and "Face to Face"). I visited the set of "Face to Face" in Stockholm and saw her as part of Bergman's tightly-knit group of collaborators; even the tea lady had been with him for 30 years. Now here she was at 60, with a film that was perhaps as autobiographical for her as for Bergman. In the hurly-burly of Cannes, where greed, buzz and celebrity are the currencies, she was a little like a ghost at the feast, a reminder of the years before commerce replaced art. Ebert: When I saw this film I was reminded of the sacrament of confession. Ullmann: I'm sure that's what Ingmar wanted although he would never say those words. But I would say those words. This time we are living in doesn't have many values. It's easy to do short little steps in other directions, because who cares? RE: Today's movies are serious about unimportant things, and ironic about important things. RE: He is asking for absolution? LU: He cannot forgive himself. I told him two years ago: 'You have to forgive yourself for whatever betrayal you have committed.' 'I cannot forgive myself.' he said. That's why I made a scene where he appears with himself as a young man, and forgives that young man, even if he can't forgive himself as an old one. RE: Is Marianne, the actress the old man hires, actually his daughter from that affair, now grown up? LU: I've never thought of that. But you know, why not? Because a writer doesn't know everything he's creating. The best stories are when the listeners are putting in their own stories. To me, that little child is Ingmar, and whatever happened to him when he was a little child. To me, Marianne is not the daughter. To me, she's is that part within him that is more feminine; that part within him that wants to be stroked when he's tired. RE: Your lives have been intertwined since "Persona," and that's been the most important fact in your artistic life..
LU: In some ways maybe not just my artistic life but my whole life, because I've known him as long as anyone except my sister. We worked so closely together and then we were friends so much longer; we did two films when we loved and now this and then we have a daughter together and we are still friends. You lose and you love and then lose again and this has been a relationship where we never lost. RE: I remember when I visited Stockholm he had his little cell in the studio. He had an Army cot and a table and chair and a bar of chocolate and an apple. And we sat there and he said he was watching the television the night before, and they were interviewing Antonioni. He said he couldn't take his eyes off Antonioni's face. He said the most important subject of the cinema is the human face. As I watched your film I thought of that. LU: If you use really brilliant actors, if they know they can trust you, they will open up their faces. Like this incredible scene where Lena Endre is sitting in the window and saying she's leaving the child. The first take was very good, professional. But then I said, okay, now you do it for yourself. And then it was incredible. RE: Does it make it more intimate for you that you know from the inside what it is to be an actor? LU: A lot of actors are scared of the camera. I can allow them to know that the camera loves them, if they are true. That makes me a good director for actors because I know what not say to them. RE: Bergman has seen the film? LU: I talked to Ingmar when he had just seen the finished film. For two years, since he handed me the screenplay, we hadn't talked about it. He never saw anything, he was never part of it. He left it to me. Now there was one thing he asked me to take out. It's in the end. She says goodnight and she's gone and he's lonely. He goes to the window and he looks out and what I showed out there was him walking on the beach. I don't even want to say why I had it there. Ingmar said, 'I beg of you, take that away. Please take that away.' I said, Ingmar, you mustn't because it is so much the film. It's done with love. He said, 'You have to understand, it looks like I will commit suicide.' No, no, I said, it's not going to look like that--I swear. He begged. I took it away and put an empty island in the same place. Today I called him, and he said, 'I've seen it again. You're right. Put it back again.' And I will. It means something. “I wanted him on the beach because of everything he's done in life, and because he was brave to write this film at a time when nobody wants it. They want entertainment. I think it is great to work with a writer who dares to dance on the waves.